Drat the Polar Vortex!! It feels like ice planet Hoth here! (And this is only the Mid-Atlantic – not a northern border state that is really FROZEN.) The thermometer on my kitchen window read -1 degrees (Fahrenheit) yesterday morning at 5:30 AM. Amy Tangerine On A Whim paper will help my mood. I did a little vertical layering. Supplies: Stamp – Simon Says Stamp, paper – American Crafts Amy Tangerine On A Whim, Gmund Royal, Neenah Classic Crest Solar White, ink – VersaFine Smokey Gray, dies – Lawn Fawn (stitched hillsides), Simon Says Stamp (banner), embossing powder – Ranger Silver Pearl. 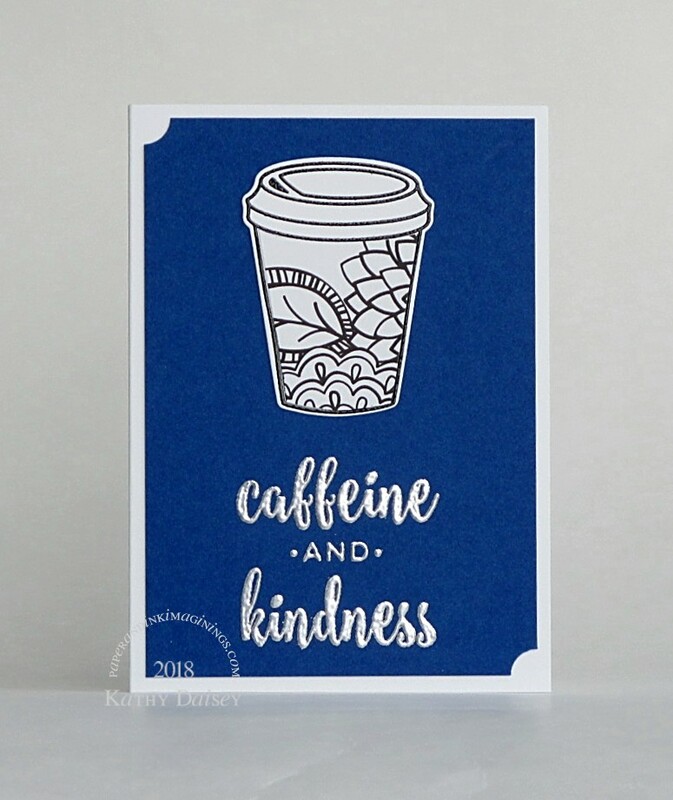 Categories: card, caring, encouragement | Tags: American Crafts, Amy Tangerine, card, Lawn Fawn, Neenah, Ranger, Simon Says Stamp, Tsukineko, VersaFine | Permalink. As you can see, I paper pieced another coffee cup for today’s note card. Actually, I paper pieced a bunch of them last weekend, just working my way through them! This sentiment is from a Right at Home set of sentiments called How Have You Bean?. Supplies: Stamps – Avery Elle, Right At Home, paper – American Crafts Amy Tangerine Oh Happy Life, Gmund Royal, Neenah Classic Crest Solar White, inks – VersaFine Onyx Black, VersaMark, die – Avery Elle, corner punch – Stampin’ Up!, embossing powder – Stampin’ Up! Sterling Silver. Categories: card, caring, note | Tags: American Crafts, Amy Tangerine, Avery Elle, card, Gmund, Neenah, Oh Happy Life, Right At Home, Stampin' Up!, Tsukineko, VersaFine, VersaMark | Permalink. 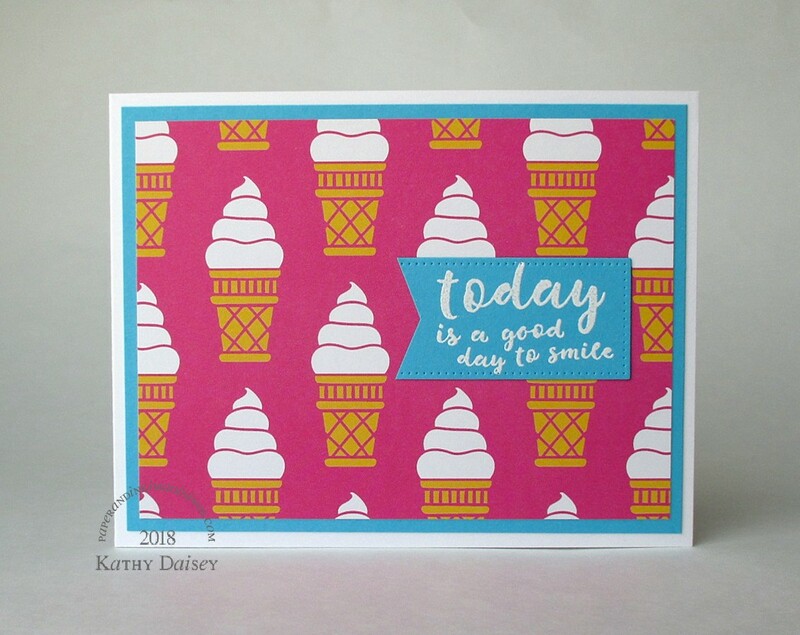 I really wish I could get a version of this ice cream paper with a blue background! 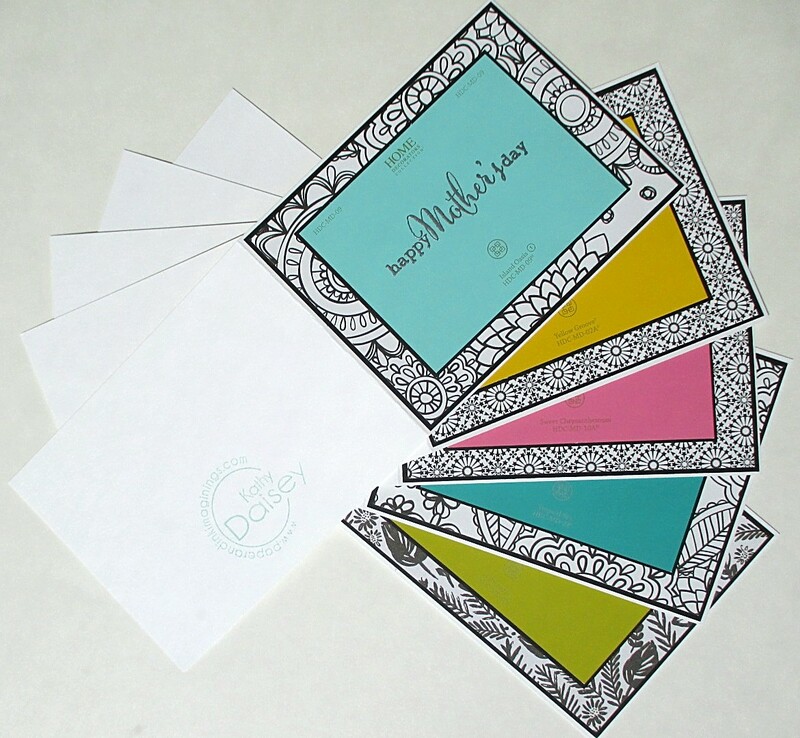 This second card is a note card. And, YES, I have this paper in 2 different sizes – the smaller scale is from a 6 x 6 pad, the larger scale is an individual sheet I purchased separately. This past weekend, Offspring3 and I went to see “The Color Purple” at The Kennedy Center. It was a lovely show. On the way home, we stopped at our local soft serve stand and ate dessert before dinner! I got the better end of the deal – she bought the tickets & drove (Metro construction zones, rail closures made it too difficult to go on public transportation), I paid for parking and ice cream. SO…I have had ice cream on my mind! Supplies: Stamps – Simon Says Stamp, paper – American Craft Amy Tangerine On A Whim, Neenah Classic Crest Solar White, Stampin’ Up! Bermuda Bay, Tempting Turquoise (retired), ink – Hero Arts Unicorn, dies – Lawn Fawn (stitched rectangle), My Favorite Things (pierced rectangle), embossing powder – Filigree Fine Art Powder white. 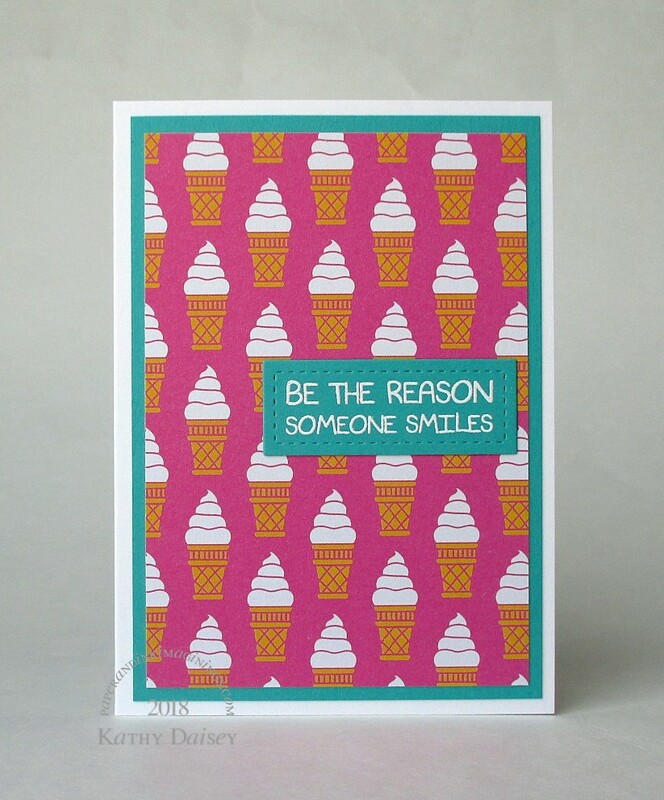 Categories: card, encouragement | Tags: American Crafts, Amy Tangerine, card, Hero Arts, Lawn Fawn, My Favorite Things, Neenah, On A Whim, Simon Says Stamp, Stampin' Up! | Permalink. I pulled out my FAVORITE American Crafts Amy Tangerine On A Whim paper pad (from 2 summers ago) to make this. 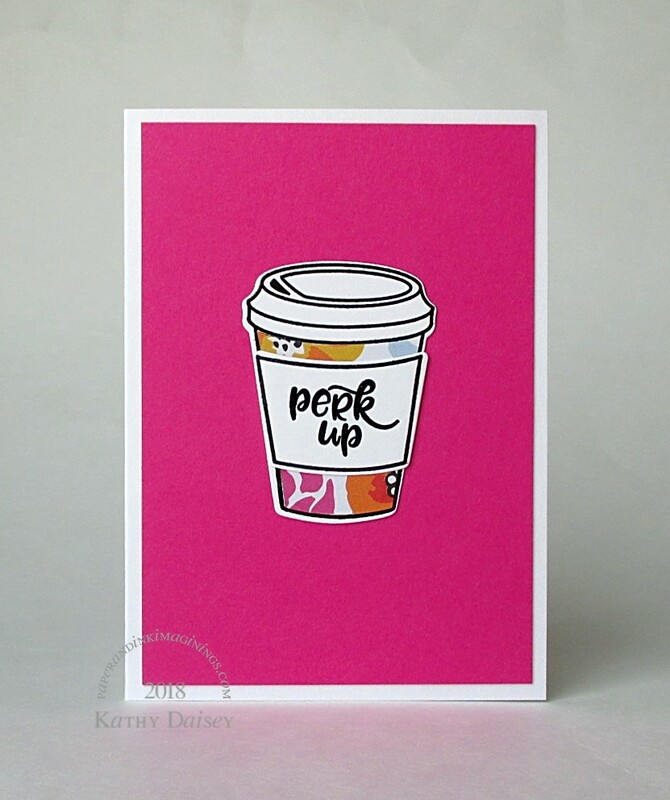 Supplies: Paper – American Crafts Amy Tangerine On A Whim, Neenah Classic Crest Solar White, Poptone Razzle Berry, Stampin’ Up! Night of Navy, die – Essentials by Ellen. 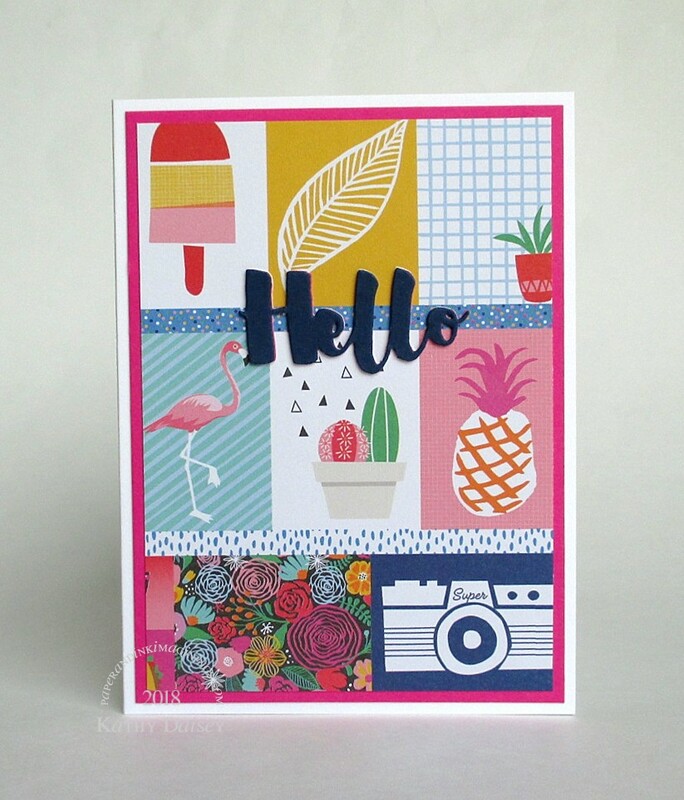 Categories: card, hello | Tags: American Crafts, Amy Tangerine, card, Essentials by Ellen, Neenah, On A Whim, Poptone | Permalink. Early in April, I was watching the premiere of the Trading Spaces reboot…and of course there was a paint chip commercial. Paint chips! Gotta do it for my friends! These got mailed out before Offspring3 and I left on our adventure. 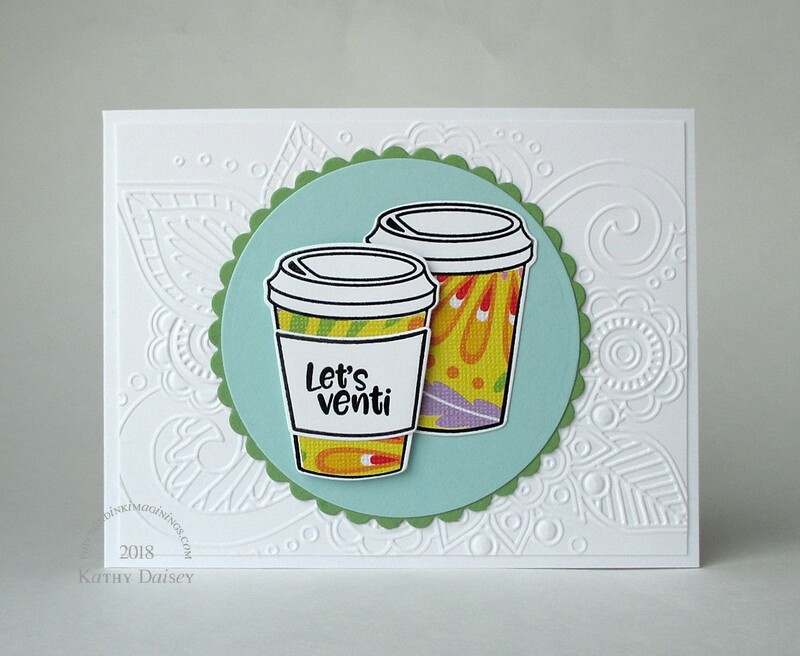 Supplies: Stamp – Clearly Besotted, paper – American Crafts Amy Tangerine Oh Happy Life, Bo Bunny Garden Party, Crate Paper Good Vibes, Home Depot paint chips, Neenah Classic Crest Solar White, Stampin’ Up! Basic Black, ink – VersaFine Onyx Black, embossing powder – Ranger Silver Pearl. 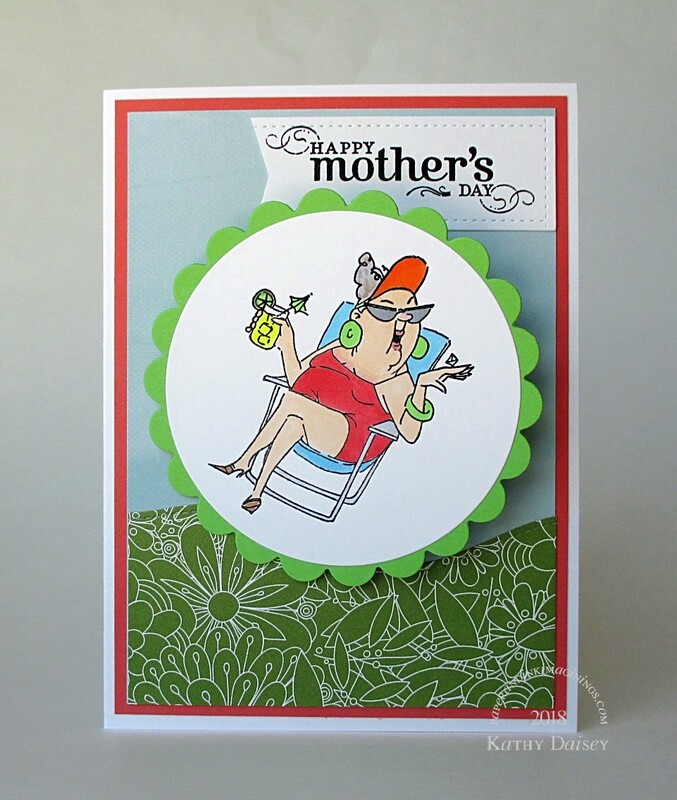 Categories: card, Mother's Day | Tags: American Crafts, Amy Tangerine, Bo Bunny, card, Clearly Besotted, Crate Paper, Garden Party, Good Vibes, Oh Happy Life, paint chip, Ranger, Stampin' Up!, Tsukineko, VersaFine | Permalink. This is a card for my Mom. The main image is on a wobble spring, and intentionally mounted with the lady leaning. When you make it wobble, it looks like she is falling. True story: My maternal grandmother was sitting in a similar lawn chair at our neighborhood picnic sometime while I was in high school. She was watching the softball game, beer in her hand. A small plane went over head (we were less than 10 miles from a small community airport), and it caught her eye. It must have gone straight over her. She watched it diligently and leaned a little too much in that webbed lawn chair. She went over backwards. One of those slow motion visuals. She didn’t get hurt, but she did spill her beer. With that story in mind, how else could I use this image for Mom??? Supplies: Stamps – Art Impressions, Stampin’ Up!, paper – American Crafts Amy Tangerine Better Together, My Favorite Things Bundle of Blossoms, Neenah Classic Crest Solar White, Stampin’ Up! Calypso Coral, Gable Green (retired), inks – Copic C3, C5, E23, E51, B0000, B02, R24, R81, R85, Y06, YG06, YG17, YR68, VersaFine Onyx Black, dies – Lawn Fawn (stitched hillside), Spellbinders (circles), embossing powder – Ranger clear. Categories: card, Mother's Day | Tags: American Crafts, Amy Tangerine, Art Impressions, card, Copics, Lawn Fawn, My Favorite Things, Neenah, Ranger, Spellbinders, Stampin' Up!, Tsukineko, VersaFine | Permalink.